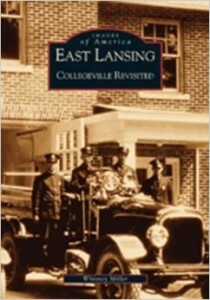 If you are interested in Lansing History these are some titles you should check out! 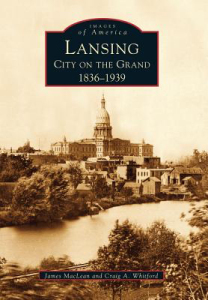 Hastily dubbed the new capital in 1847, Lansing overcame derision and setbacks to become a booming metropolis. Yet its rich history hides chilling legends. Bertie Clippinger plays tricks on the unwary at the Capitol Building, where the teen accidentally fell to his death when a game went horribly wrong. One of Lansing’s founding families keeps a spectral vigil over its homestead, the Turner Dodge House. Malevolent spirits, believed to be either neglected students or victims of something far more sinister, stalk the derelict Michigan School for the Blind. A witch’s vengeful curse follows those who trespass on Seven Gables Road, one of the state’s most haunted stretches. 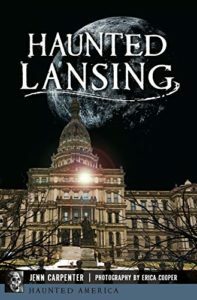 Founder of Demented Mitten Tours and local author Jenn Carpenter leads readers to the dark side of the Capital City. 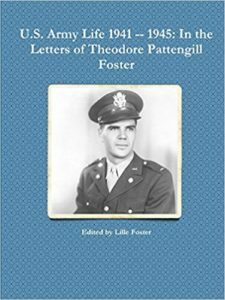 Theodore P. Foster loved to receive letters-more so at boot camp than anywhere he had ever been. He corresponded with twenty-three people from 1941 to 1945-his parents, his sisters, aunts and uncles, cousins and close friends. These letters were saved by his parents, Theodore G. and Margaret P. Foster. The collection of letters came into my possession in the late 1990’s. They sat in a Hollinger box at my home for twenty years. I have extensively footnoted the collection in order to identify the people, places, events, objects and obsolete terms mentioned in the letters. A big drawback to transcribing the letters was Theodore P. Foster’s poor spelling. I wanted the reader to read his words exactly as he had written them-spelling and punctuation mistakes included. My father never learned the spelling rule, “I Before E Except After C” and wrote ‘recieve’ hundreds of times in his letters. I think you will enjoy reading these interesting and informative letters. When the bodies of Howard and Myra Herrick were discovered hidden in their barn on a fall night in 1955, their neighbor suddenly realized the screams she had heard two days earlier were the screams of the retired chicken farmer and his wife being viciously murdered. With escaped convict Nealy Buchanon on the run, law enforcement officials knew he could be anywhere. Thirteen months after the murders, Buchanon was captured in Baltimore and quickly returned to Michigan. 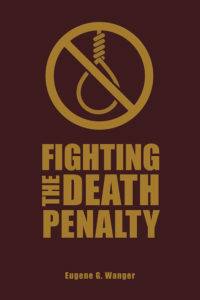 What should have been the end of a horrible nightmare for the Herrick family was only the beginning. 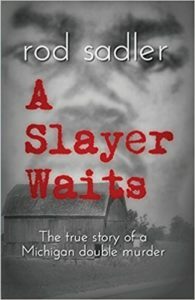 A Slayer Waits is the true story of a double murder that rocked the quiet community of Stockbridge, Michigan in 1955, and ultimately led to the killer’s case ending up before the United States Supreme Court. Darius Bartlett Moon was, in the truest sense, an embodiment of a Renaissance man. Born into an agricultural family in 1851, Moon left the farm and apprenticed as a carpenter. Eventually he attended classes at a local business school and began his career as an architect. 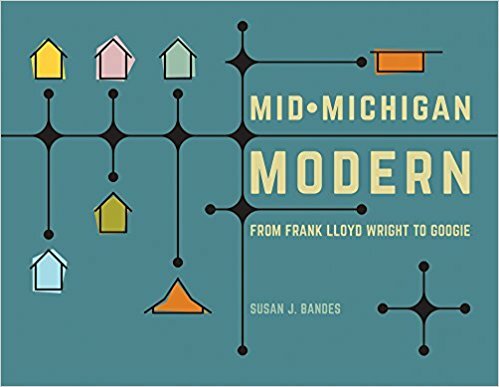 In 19th century Michigan, an architect was not subject to the same requirements as they are today and many architects apprenticed under an established architectural firm to learn the trade. Darius Moon took a different path and became a self-taught architect. His years working as a carpenter and contractor enabled him to see firsthand the problems that poor architectural design could cause. Because Moon was self-taught, he was occasionally self-conscious about his abilities which lead him to be a demanding and ever present supervisor at construction sites. This is typically an uncommon role for an architect, and in Moons’ day, resulted in several injuries at building sites. On February 8, 1877 Moon married the love of his life, Miss Ellen Sprague. They had four children who became the center of his world. Moon had a softer side not seen by the contractors with whom he worked, and also wrote on a daily basis, mostly poetry with a healthy dose of prose. Additionally, he engaged in property development and several business ventures. 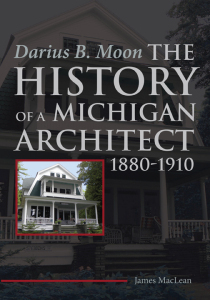 Moon’s legacy includes several significant houses in Lansing and Michigan, many of which are still standing, including the Rogers Carrier home on the campus of Lansing Community College, the Woodbury home in East Lansing (now the Howland House, a student co-op), the Turner Dodge home and the Stebbins cottage overlooking Lake Michigan. There are also some that are lost to history including the Ransom E. Olds mansion, Henry Kositchek’s house and the Homer D. Luce residence. SoloVerso Press is dedicated to the study and preservation of local history and culture. Pioneers, Reformers, & Millionaires represents seven years of research. 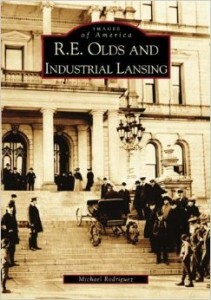 It is an epic story of two generations of the Turner family and their impact on the founding of Michigan’s capital and the Republican Party. They take on Vanderbilt and the Grand Trunk Railroad, fight for abolition, women’s rights, workers rights, education, progressive reform of corporations and politics, and more. It’s a tale of heroes and villains, vengeance and corruption, much of it told in their own words. In Part I, Marian and James Turner join a group of pioneers who build a capital city in the primal forest in seven months. They are among the progressive Whigs and Democrats who founded the Republican Party to end slavery. Both the men and women engage in the burgeoning women’s movement for suffrage and the fight to regulate alcohol use. They play leading roles in the Civil War and its aftermath. They advance controversial ideas such as higher education for women and scientific agricultural education. Marian’s family scrapbook is a source of many of the stories in this narrative history of heroes and villains, greed and corruption. In Part II, the second generation includes James Munroe Turner who was a folk hero to much of the state. He is a farmer, railroad builder, manufacturer, miner in the Upper Peninsula, millionaire, and reformer. The second generation is bent on holding the Republican Party to its original ideals. A clash between Turner, Vanderbilt, and the Grand Trunk Railroad has far-reaching effects. At the end of the 19th century they grapple with monumental societal problems, ones that dog us today. 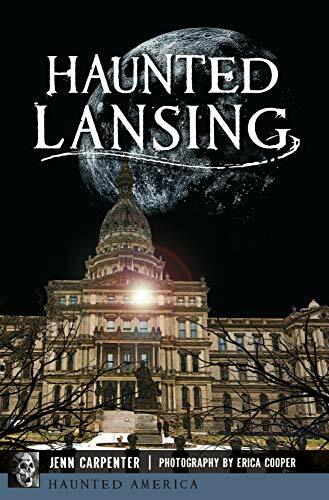 Upon the dedication of a new Capitol building in 1879, the city of Lansing was just beginning to emerge from the swampy wilderness of its recent past. As industry began to take root along the banks of the Grand River, Ransom Eli Olds brought his father’s motor shop to national prominence with advancements in gasoline and steam engines, and then horseless carriages. By the early 20th century, Oldsmobile became the world’s first mass producer of automobiles and Olds had moved on to found a second car company, making Lansing the first Auto City. Through these efforts, Olds rose to become one of the nation’s greatest industrialists and entrepreneurs. Using primary documents and historical images, this book traces the industrial history of the Capital City within the context of one of the 20th century’s greatest entrepreneurs, R.E. Olds. Lansing’s history as the capital of Michigan began with a legislative mandate in the 1835 State Constitution, which required that the seat of government be moved from Detroit in 1847. The result-the emergence of a new capital city on the banks of the majestic Grand River-allowed Lansing to cultivate a world-class community based in government, education, the automotive industry, and entrepreneurial achievements. This book features more than 200 historic photographs that document the dynamic capital city during its pivotal first century, from the pioneer era to the inception of the Olds Motor Vehicle Company and through the eve of World War II. The Reo Motor Car Company operated in Lansing, Michigan, for seventy years, and encouraged its thousands of workers to think of themselves as part of a factory family. Reo workers, most typically white, rural, native-born Protestant men, were dubbed Reo Joes. These ordinary fellows had ordinary aspirations: job security, decent working conditions, and sufficient pay to support a family. They treasured leisure time for family activities (many sponsored by the company), hunting, and their fraternal organizations. 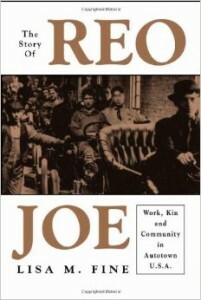 Even after joining a union, Reo Joes remained loyal to the company and proud of the community built around it.Lisa M. Fine tells the Reo story from the workers’ perspective on the vast social, economic, and political changes that took place in the first three quarters of the twentieth century. Lisa Fine explores their understanding of the city where they lived, the industry that employed them, and the ideas about work, manhood, race, and family that shaped their identities. “The Story of Reo Joe” is, then, a book about historical memory; it challenges us to reconsider what we think we know about corporate welfare, unionization, de-industrialization, and working-class leisure. 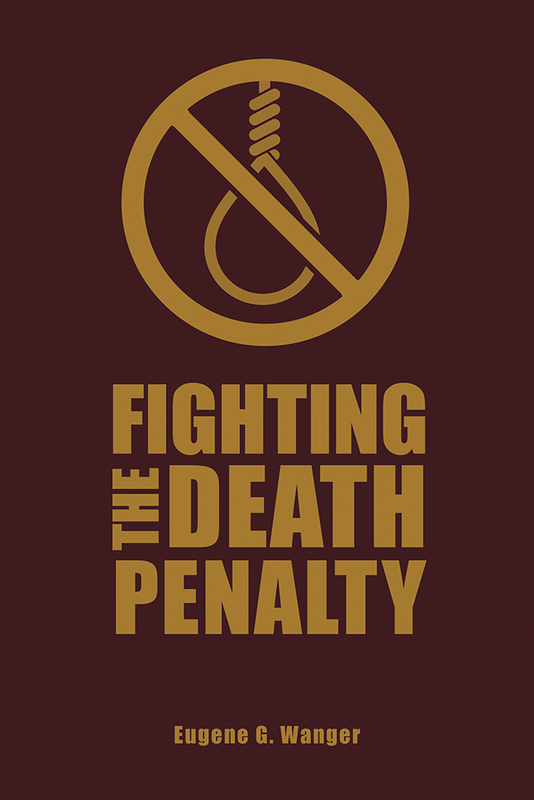 Lisa M. Fine is Associate Professor of History at Michigan State University. She is the author of “Souls of the Skyscraper: Female Clerical Workers in Chicago, 1870-1930 (Temple)”, and coeditor, with Mary Anderson, Kathleen Geissler, and Joyce Ladenson, of “Doing Feminism: Teaching and Research in the Academy”. The modern city of East Lansing, Michigan is a thriving community of 46,000 people located just a few miles from the state capital building in Lansing. Originally a crossroads of Indian trails and encampments, the first modern development at the site was the Agriculture College of the State of Michigan. Founded in 1855, it later became Michigan State University. A surrounding community soon sprang up as a result of the college’s establishment and growth. First named Collegeville, this community organized, petitioned for, and received a city charter from the state in 1907. The city and the college still share a symbiotic relationship, but they have developed into two diverse and distinct communities. This pictorial history presents images of the town as it originated and grew, in less than 100 years, into one of Michigan’s most interesting cities.